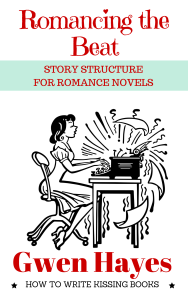 If you are a Scrivener user and have read Romancing the Beat: Story Structure for Romance Novels, you are in luck! I have put together a companion template just for you. This Scrivener template is intended to supplement the writing experience after reading the book. If you haven’t read the book—I hope the template is still useful to you. I tried to put mini-explanations on the front of each beat card. I am not a Scrivener Professional—but I did my best. « Are you ready to go back to summer camp? For grownups?